Lysine is the limiting amino acid in the predominantly cereal and legume based typical Indian diet and its supplementation has been shown to positively affect muscle strength in short term adult and animal models; but similar studies are lacking in children. This study looked at the effect of a 3-month lysine and iron intervention on muscle strength and growth parameters in prepubertal Indian girls. The study was a randomized controlled trial conducted in 40 normal Indian girls in the 9-10 yrs age group. The control group received only iron (6.25mg) supplementation, while the intervention group received both iron and lysine supplementation that increased the lysine intake to 50mg/kg/day. Muscle strength was estimated in both upper limbs with a hand dynamometer and muscle endurance was estimated in the non-dominant hand. Height and weight were recorded to assess growth. A significant difference was seen in the increase in the non-dominant hand grip strength between the groups (intervention: 1.4 vs control: 0.2 kg, p=0.042) at the end of the study. There was a trend of increased height gain (about 25%) and weight gain (about 50%) in the intervention group compared to control group. 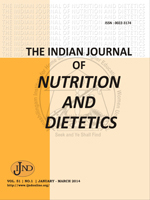 Lysine supplementation for 3 months increased non-dominant forearm muscle strength in Indian children. Lysine Supplementation, Handgrip, Muscle Strength, Growth.